Felicity McCarthy has lead international digital marketing teams at world leading corporations including Facebook, eBay & Dell. This 16 years of experience has fuelled her passion for all things digital, and makes Felicity a compelling speaker. She is the founder and CEO of Spark Digital and an in-demand keynote speaker across Ireland and Europe. Felicity McCarthy is the founder and CEO of Spark Digital, a successful digital marketing and social media consultancy which educates, trains, and advises businesses across a wide range of sectors and countries. Clients include Pinterest UK, Facebook Ireland, Daft.ie, IDA Ireland, Bank of Ireland, 123.ie, Grant Thornton Ireland, TopOil Ireland, Gigaset Europe, AIB Startup Academy, Digital Marketing Institute, Dublin Business School, Irish Times Training, and many more. 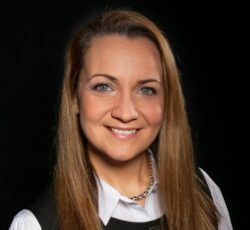 Felicity has worked on the cutting edge of the technology sector for 20 years, leading European marketing teams in companies such as Facebook, eBay, and Dell. In addition to her successful business, Felicity contributes to the digital industry in Ireland in a range of ways, including speaking at Social Media Summit 2016, Image Magazine Digital Masterclass, 3XE Digital, Dublin Web Summit, and IIA Deep Dives. She is also on the judging panel of the IIA Net Visionary Awards and a very active member of the INM Marketing Lab, a marketing tools testing group. In addition to sharing insight from the world of social media and digital marketing, Felicity also speaks regularly on women’s issues and the challenges of managing career and home life effectively in today’s business world. She has spoken at Network Ireland’s International Women’s Day conference at Dublin Castle, female entrepreneurship events at DCU Ryan Academy & Corporate networking events at Microsoft and others. Felicity also speaks at Local Enterprise Network’s Women’s group & Network Dublin & Westmeath women’s groups. Felicity has a Bachelor of Commerce and a Master’s degree in Marketing Practice from NUI Galway.